A few weeks ago, all IE students were sent an email inviting them to register for a trip to Doñana National Park in the South of Spain. And the best news – it was free! However, only 30 places were available – so competition was fierce to register. On the opening hour of the registration, dozens of students were waiting on their computers for the time to come. Three minutes after the opening time, the 30 quickest (and luckiest) individuals had been chosen, and 100 had been put on waiting list. I think that those of us who were invited to join the trip did not realize how lucky we were at this point and what we had ahead of us. We met at Atocha train station and took the train down to Seville where we had a short visit to this beautiful city. We then traveled to El Rocio where we would spend the night. If you search for this village on review websites such as Tripadvisor you will find many reviews describing El Rocio as a weird place. They were absolutely right – it is a weird village. But in a very good way! The city is right next to a stunning lagoon and looks like a set for a Wild West movie. The beautifully kept one-story houses create a magical environment that is supported by the friendliness of the locals. Upon arriving to the city, we visited a bar with live Spanish music. It was a very rustic and traditional bar – with a peculiar “parking lot”. People from El Rocio tend to travel by horse, so everywhere you go you will be able to find special “parking spaces” – restaurants even boast from having high tables for horse riders to grab a quick drink without having to dismount. On Saturday morning the hard work started. We were to join WWF in their project of reforestation for Doñana National Park, one of the few places where the endangered Iberian Lynx is still present. The planting of trees along the river is essential to help this and other species to find an appropriate environment to live – something that is becoming scarce. 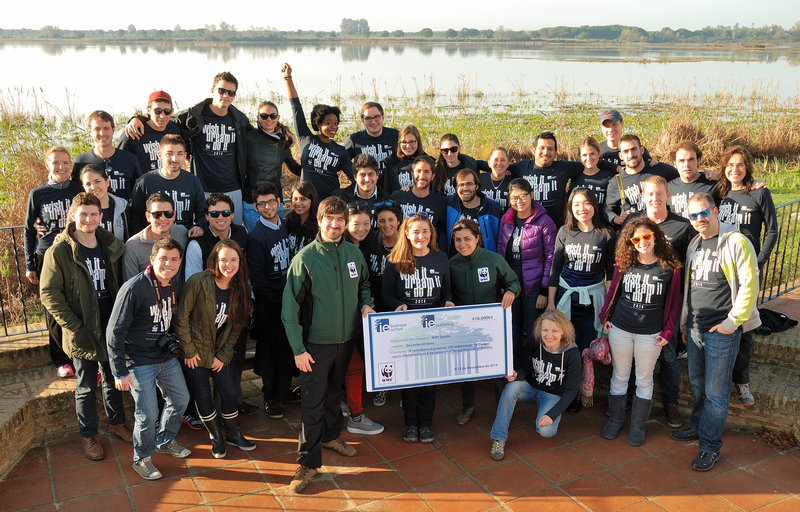 IE has been working for WWF for a while – this year it managed to raise an amazing 18,000€. But more importantly, it provided WWF with much valued manpower to help it on this process. And that was our job – to replant trees at key points along the river. 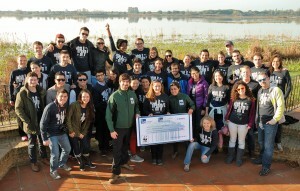 After the demonstration by a WWF representative, we all picked our hatchets and started our hard work. 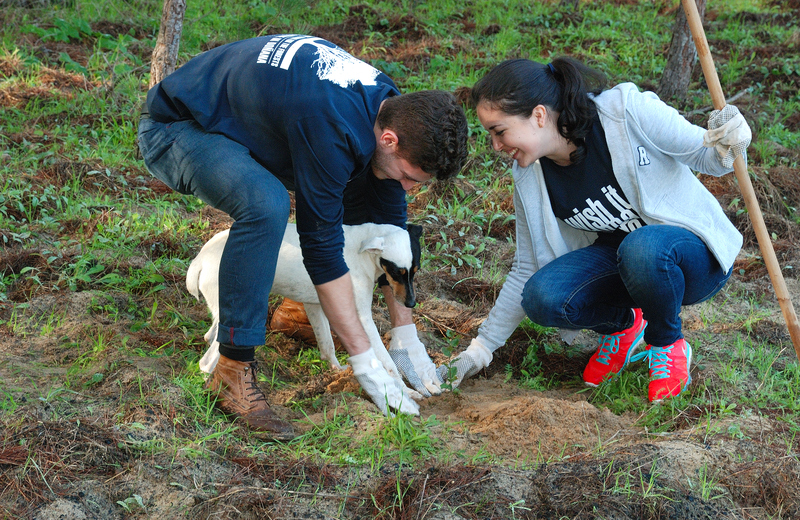 Two hours down the line – we had planted 115 trees! 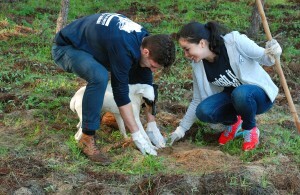 We were extremely tired at this point (as you can imagine, planting trees is difficult!) so IE rewarded us with an amazing lunch in the center of El Rocio. A great ending to a great weekend. Overall, it was the perfect opportunity to meet new people and to discover the South of Spain. And better than that – we were able to help the environment a bit!